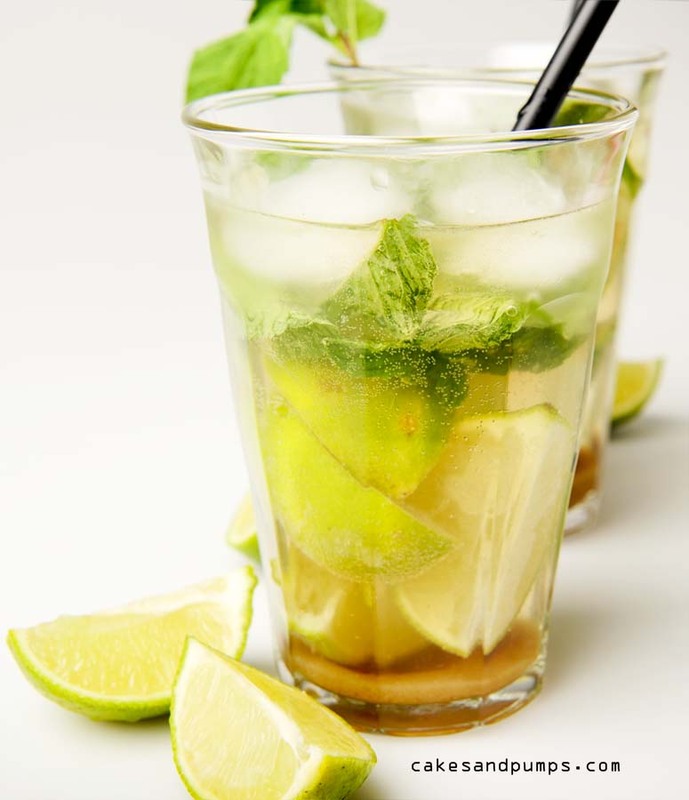 Cocktail Friday with a Mojito is a good start of the weekend. When I was in my twenties I used to drink Rum-cola’s (or Cuba Libres if you prefer that name) if I drunk a cocktail. A Mojito wasn’t popular at all in Holland. I don’t know exactly when I drunk this cocktail for the first time, I think somewhere in 2009 just before we went for a vacation to Brasil, the land of the Caiparinha’s. 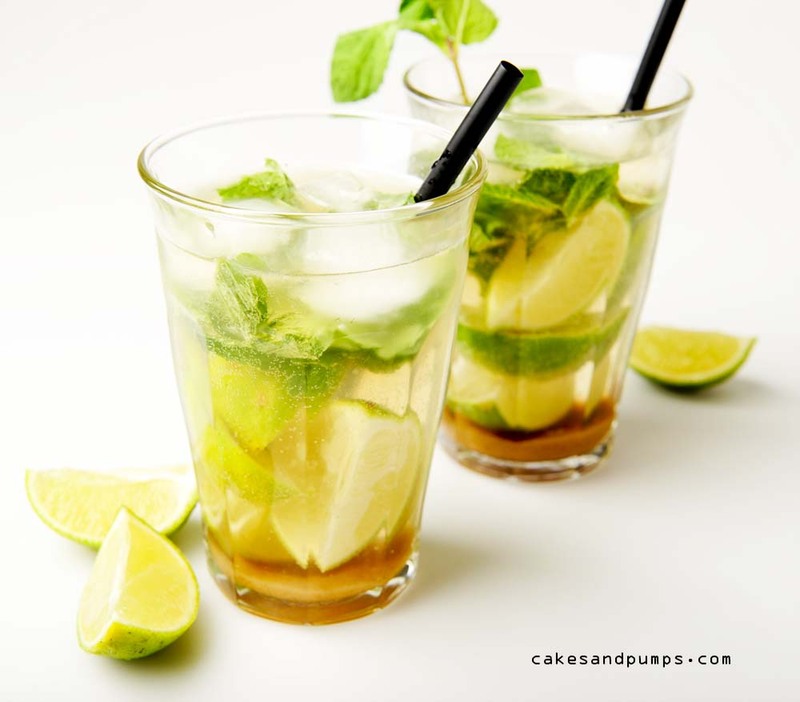 Rum is one of my favorite mixing drinks, so the Mojito easily became one of the more often made or ordered cocktails. 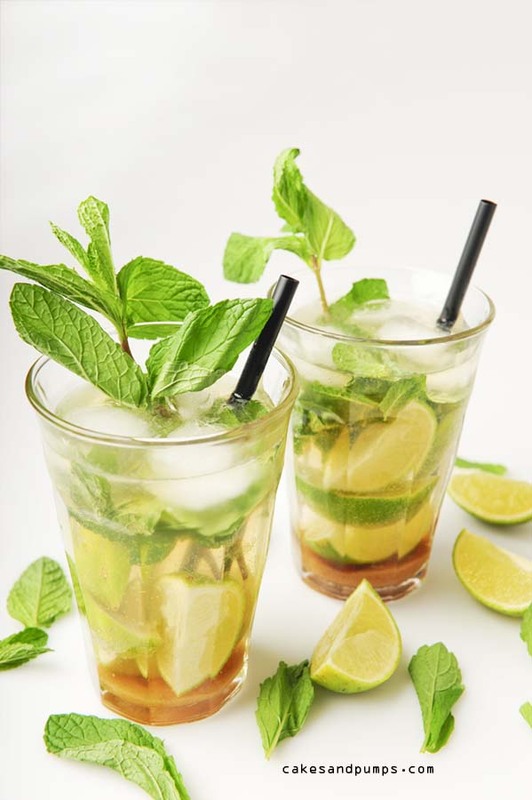 A Mojito is a fresh cocktail with the lemon and mint taste. It’s also a dangerous one, since you can drink it so easily, like lemonade;-). Original the recipe comes from Cuba. It is said that probably it was first invented on the sugar cane fields in Cuba, but they also say that it’s original recipe was from the 16thcentury and was called “El Draque” , after Francis Drake. It should help against all kind of tropical illnesses. I guess we will never know what’s the right story, but today it’s one of the most made cocktails in the world. So it’s definitely something that I wanted to blog on Photos for foodies’ Cocktail Friday. For Cocktail Friday we drink a Mojito this time. 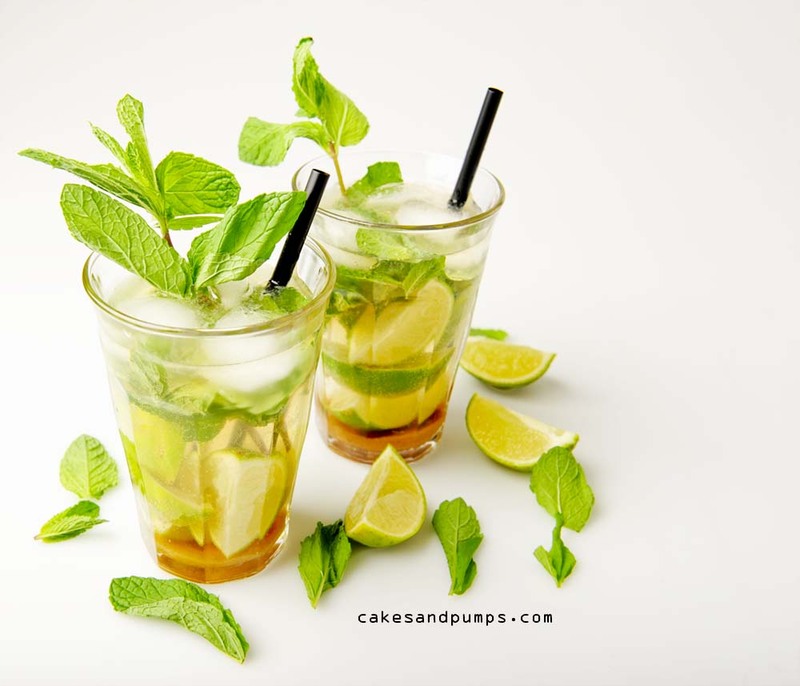 A Mojito is made with rum, sodawater, lemon, sugar and mint. Clean the lemon with water and cut it in four parts. Take the mint leafs into your hand and clap, this will release the flavor. Put them into the glass with the lemon. Fill the rest of the glass with the sodawater. Use some mint leafs for decoration.